The food scene in Ireland is full of excitement these days, with new restaurants seemingly opening in the big cities every other week, and pockets of dynamism popping up all across the island. Prepare to leave your preconceptions about Irish food behind. Nope, it’s not all bacon and cabbage anymore. Come, and you’ll be immersing yourself in a food culture that’s found its feet and is celebrating the magnificence of ingredients from the Irish land and sea with a newfound confidence. 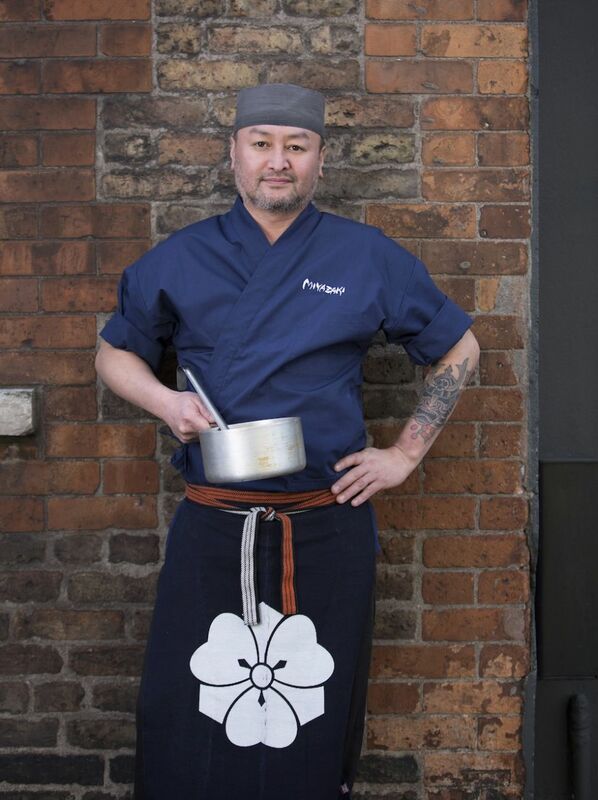 Takashi Miyazaki is a Japanese chef based in Cork. For the past few years, he’s been serving his impeccable food in a tiny takeaway with a few stools, with a more elaborate offering at a few carefully chosen pop-ups. This spring, he opens his fine dining kappou and kaiseki restaurant, Ichigo Ichie, on Fenn’s Quay in the city. It’s probably the most eagerly awaited opening on the island. The menu changes daily, but could include anything from salmon zuke don (raw, organic marinated salmon with nori, leek, and salmon roe on steamed rice) to shimeji soba or udon (shimeji mushroom tempura on top of hot soup noodles in homemade dashi broth). No alcohol is served currently, though that is subject to change. A takeaway with three or four stools. Reservations: Not yet, but the new restaurant will take them. When Andrew Heron and Damien Grey won a Michelin star before they’d been open even a year, in a tiny location that was distinctly no frills (famously, the restaurant didn’t even have its own restroom), it caused no small stir. The décor has since seen a modest upgrade, but the food is what astounds here — innovative, creative, and surprising, you won’t find anything else like it in Ireland. Heron is Irish, Grey is Australian; the former is in charge of the wine, the latter the cooking. Both serve the food and engage with guests in what is one of the most intimate services you’re likely to encounter anywhere. The menu at Heron & Grey is seasonal and changes monthly, with the website listing the ingredients that will be used during each month’s no-choice, 12-course tasting menu. Dishes are described tersely and in the modern way — e.g., “halibut, gorse, garden greens” — and Grey prides himself on never repeating a dish. The only thing you can count on is that something will probably feature chocolate. Andrew Heron will suggest pairings to match Damien Grey’s food, or you can decide to order by the bottle. White wines lead towards the classic expressions where texture, depth, and richness are key, whereas reds tend to feature a biodynamic approach with the focus on acidity, spice, and bitterness. Expect some left-field choices, and to be impressed. Non-alcoholic pairing is also available. Tiny but stylish 22-seater at the back of an unprepossessing market building. Reservations: Yes, definitely. Bookings are released on a monthly basis (see website for details) a couple of months ahead, but there’s a cancellation list and it’s worth putting your name down, as spaces do pop up from time to time. Hours: Dinner served Thursday to Saturday, with half the guests seated at 7:30pm and the rest at 8:30pm. Be on time! I know a guy that has lunch at the Michelin-star Ox every Friday, taking the afternoon off from his legal practice so he doesn’t have to fret about work that might interfere with his enjoyment of Stephen Toman’s beautiful, sophisticated, and thoughtful food. He’s not the only one. Everything at Ox is made with the very best of ingredients, sourced from the farmers and producers of Northern Ireland…it definitely attracts regulars. Toman’s partner in crime is Frenchman Alain Kerloc’h, who looks after front of house and whom many consider the best sommelier in Ireland. Kerloc’h has a light touch and is a democrat when it comes to wine, wanting his customers to enjoy his discoveries as much as he does. It would be a shame not to go for the tasting menu at dinner, but lunch is excellent value and might include Jerusalem artichoke, chicken skin, red cabbage, and pickled celery leaf, followed by halibut with squid ink, salsify, and lardo, and pot au chocolat with rum, caramel, and banana to finish — all for £28 (about $40). The wine bar next door, Ox Cave, is also great. An excellent wine list — entrust yourself to M. Kerloc’h, and you’ll be in good hands. An old tile showroom by the River Lagan. It’s repurposed, restrained, and quite cool. Located right beside St. Stephen’s Green in Dublin city center, and within a five-minute walk of Grafton Street, this unassuming little restaurant is a favorite with critics and punters alike. 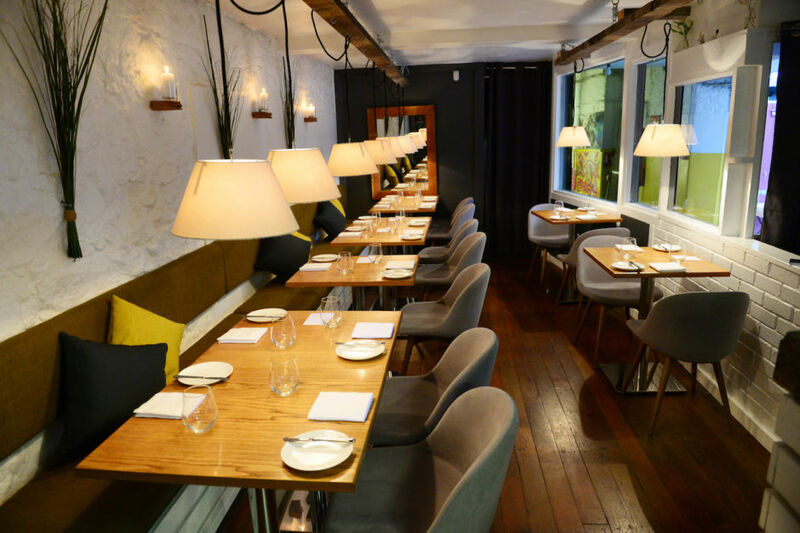 In the five years since it opened, Etto has won pretty much every casual dining award there is, and it’s held a Michelin Guide Bib Gourmand since 2014. The menu is seasonal and changes daily, and Paul McNamara’s food puts flavor to the fore. Lunch and pre-theater menus are a bargain, service is friendly, and you could happily while away a few hours here (as fans including Nigella Lawson, Yotam Ottolenghi, and Ireland’s 30-something prime minister, Leo Varadkar, will attest). Co-owner Liz Matthews describes Etto as “vaguely Italian,” so don’t go expecting traditional food like mama used to make. There’s usually one pasta dish as the “worker’s lunch” of the day — orecchiette, nduja, cherry tomatoes, rocket, and Parmesan, perhaps (lucky workers) — but that’s usually it. Try stracciatella with celeriac, truffle honey, hazelnut, and lovage, and the signature côte de boeuf with bordelaise and crispy garlic potatoes followed by red wine prunes with mascarpone. It’s food that looks simple, but is carefully composed and executed impeccably. The wine list favors Italian and Spanish wines, with half a dozen available by the glass or carafe. 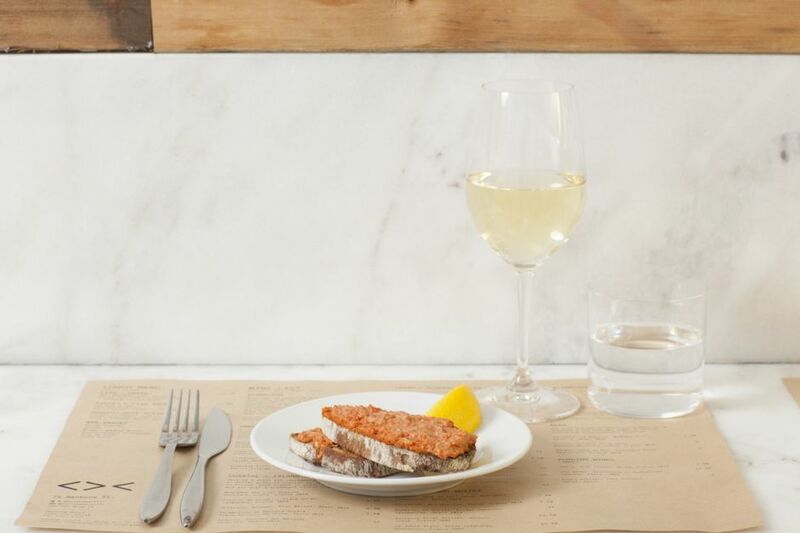 Liz and her partner and co-owner, Simon Barrett, are knowledgeable and enthusiastic, and if they suggest a glass of manzanilla to accompany your nocellara olives and smoked almonds to start, just say yes. Modest and cozy, with room for about two dozen at tables and another few at the bar. Reservations: Yes. Expect to book a couple of weeks ahead for peak times, but Etto sometimes has room for walk-ins, too. Also, don’t discount sitting at the bar — some regulars prefer it. Danni Barry won a Michelin star for her cooking at the glamorous Eipic in Belfast, but at Clenaghans in Aghalee, located in a former petrol station (made of stone), she’s gone back to her roots. The food offering will remind you of hearty country pub fare, albeit delivered with the finesse you’d expect from a chef of Barry’s caliber. Sunday lunch is hugely popular. Country-style pork terrine with pickles, short-rib of beef with roasted onions and lovage, with a side of mashed potato. “Sweets” — the Northern Irish way of saying “dessert” — might include frozen rhubarb, gingerbread parfait, or a brown butter biscuit, with a glass of Quady Winery Elysium Black Muscat from California alongside. Shortcross (local) gin with beetroot, raspberry, and lemon gets things off to a good start, while the wine list is concise and appealing. Olde worlde, with roaring fires and candlelight. Reservations: Yes, but Clenaghan’s takes walk-ins if they have room. 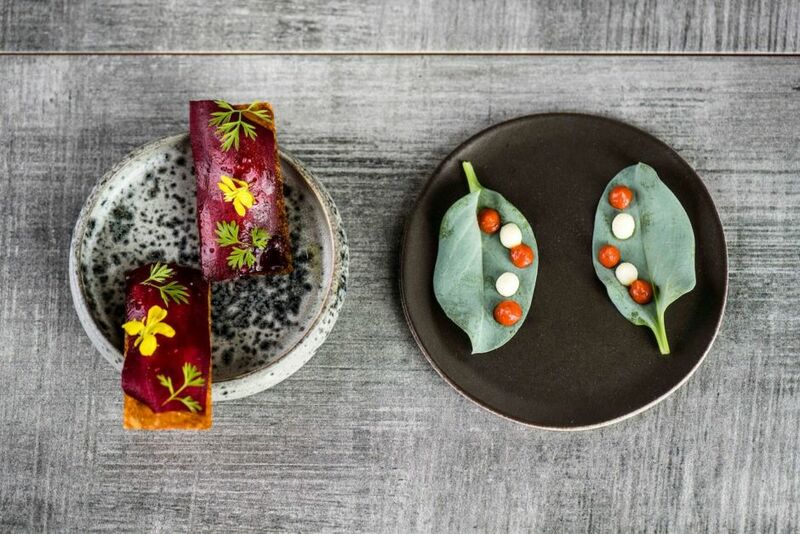 The Michelin-starred Aniar describes itself as a “terroir-based” restaurant in the West End of Galway, on the Wild Atlantic Way. JP McMahon runs the ground-breaking Food on the Edge chef symposium in Galway each autumn, and he and his team use only ingredients that have come from the surrounding area — which means everything gets sourced from the farms, wildlands, seas, and shores of the west of Ireland. The natural course of the seasons dictates the ever-changing and evolving menu. Six-, eight-, and 10-course tasting menus are available. 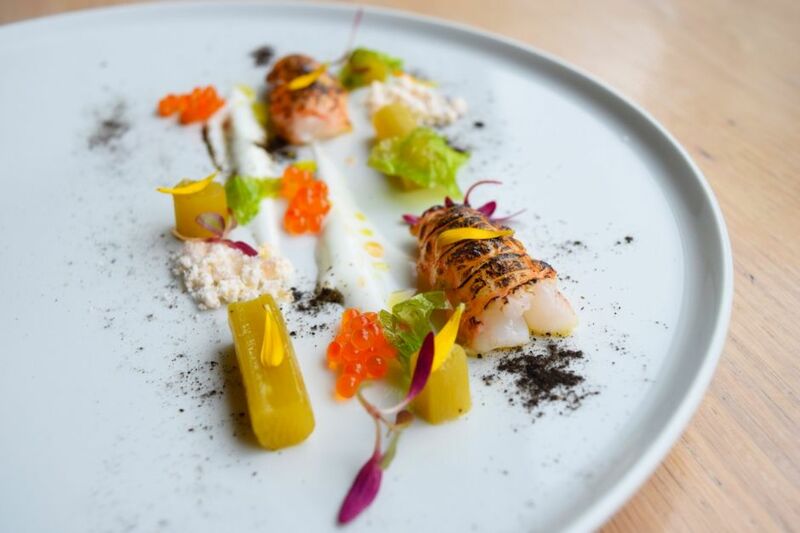 They change daily, weekly, and seasonally, and expect to find plates described as smoked cheese, kelp; beetroot, elderberry; potato, roe; dillisk, sea radish; oyster, arrow grass; carrot, elderflower; potato, hock — you get the idea. An impressive modern wine list with 80+ bottles from small and artisan producers. Reservations: Yes, but worth trying for walk-in space, too. If you’re unsuccessful, you can go to the co-owned Tartare wine bar directly across the road. The area around Leonard’s Corner, where you’ll find Clanbrassil House, is one of the hottest foodie destinations in Dublin. O’Keeffe’s cooking over charcoal has garnered plenty of attention since she opened in late 2017, and is only going from strength to strength. Try the grilled sourdough with hot smoked trout, the onglet steak with bone marrow and chimichurri, followed by chocolate mousse and honeycomb & marmalade ice cream. A concise and modern wine list. There’s room for 25 diners, either at standard tables in the back with a view of the open kitchen, or on tall stools in the front, facing a window out onto the street. Reservations: Yes, but room for walk-ins, too. 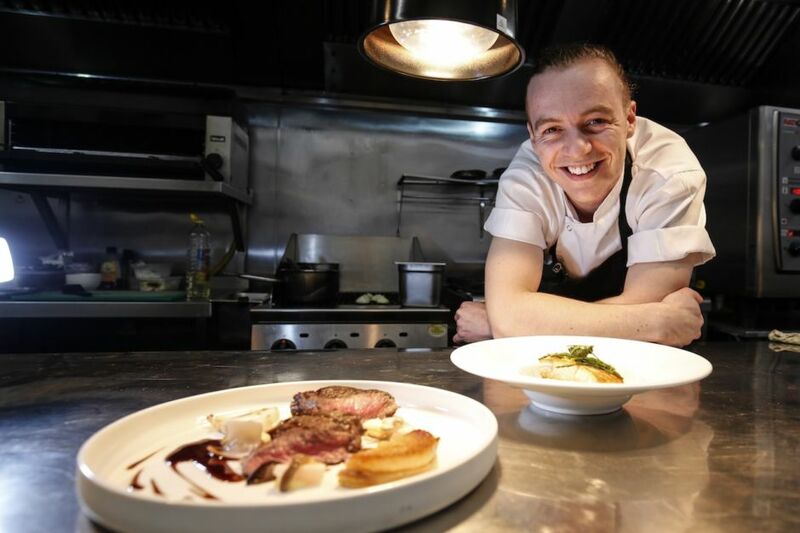 Until recently, Glen Wheeler was Neven Maguire’s head chef at the hugely popular MacNean House in Blacklion, County Cavan — a hotspot where you need to book months in advance to get a weekend-night table, especially if you want to stay over in one of the rooms. Now, with his wife Zara McHugh (also ex-MacNean) looking after front of house, Wheeler has opened 28 Darling St. in Enniskillen, Northern Ireland, and the word is that the young chef — who has stints at Gordon Ramsay’s three-Michelin-star Royal Hospital Road, Alinea, and Noma on his resume — has hit the ground running. The £55 tasting menu might feature confit salmon with potato and watercress (which is already becoming known as a signature dish) and scallop with baked apple and black pudding — using Pat Doherty’s black pudding. Local sourcing underpins the menu, and local diners are delighted. It’s early days, so the wine list is still evolving. Comfortable, with a casual fine-dining ambiance. McHugh creates a warm and friendly atmosphere. Self-taught chef Jumoke Akintola and her husband, Peter Hogan, who looks after front of house, are former school teachers. They left the profession during the recession and opened a fish-and-chip stall in a market in Blackrock, South County Dublin. 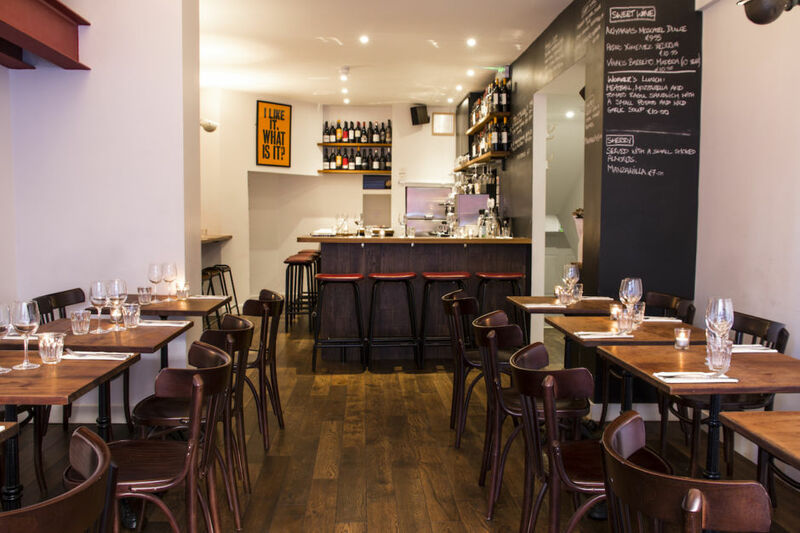 Now in their tiny restaurant on Queen Street, Akintola cooks exemplary fish in a wood-fired oven in the garden to the rear, and Peter recommends mainly natural and biodynamic wines to accompany his wife’s four-course set menu. Around the corner, on Benburb St., is the couple’s casual fish-and-chip shop, where you sit on a stool at the counter. 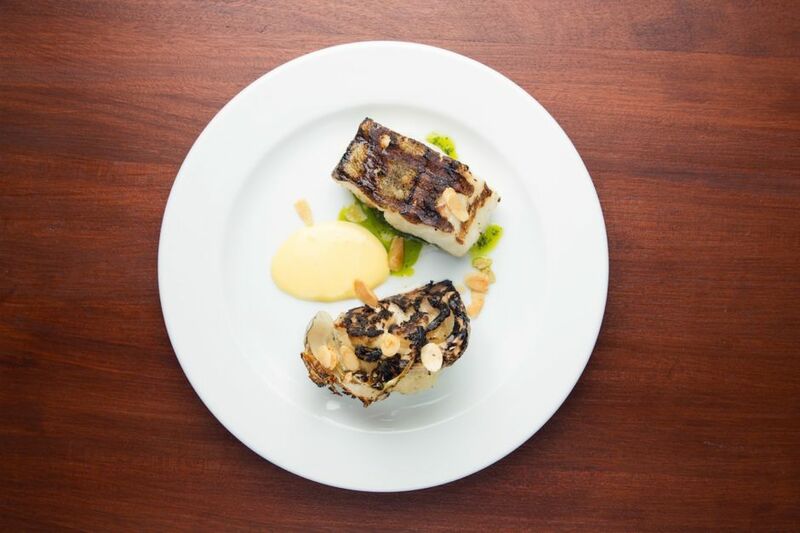 You might start with fish soup, move on to Connemara shellfish en papillote, proceed to wood-oven roasted halibut with razor clams and black kale, and finish with cream tart with honey ice cream and honeycomb. The wine list is short and interesting and changes almost as often as the food menu. Simple and minimal; there’s a garden outside where you can eat in summer. Reservations: Yes, but worth trying for walk-in availability.